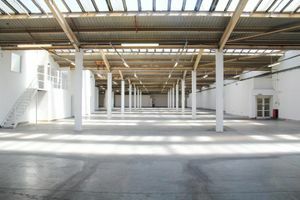 This enormous space has to be one of East London's best exhibition halls. This one-of-a-kind venue is ideal for holding trade shows, art exhibitions, live performances, gala dinners and fashion shows. It is also a fantastic photographic studio with exceptional amounts of natural light from the many skylight windows in the roof. 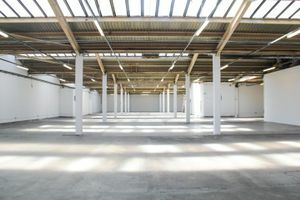 The space is extremely versatile with white walls and plain concrete floors. It is incredibly well-lit by natural daylight from the roof windows. 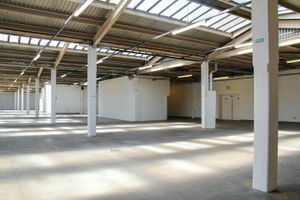 It has 3 production rooms on a mezzanine level, where you can look down onto the entire venue. There is also a courtyard on the first floor which you can access from the main space and the production rooms. 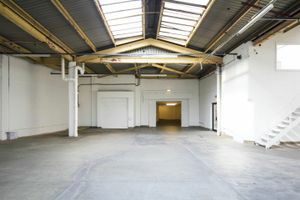 For larger events, the immense exhibition space can be hired in conjunction with the interconnecting rooms on the first floor.